Have you struggled to lose weight? Have you tried diet after diet only to regain weight? United Regional offers laparoscopic surgical procedures, diet and exercise consultation, and support groups to help you lose weight effectively and keep it off. United Regional is accredited by the Metabolic and Bariatric Surgery Accreditation and Quality Improvement Program (MBSAQIP) and offers a specialized bariatric unit for surgical patients with staff dedicated to the care of the bariatric patient. 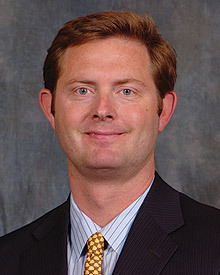 Dr. Finnell grew up in Holliday, Texas and is a honors graduate of Midwestern State University. He graduated from the University of Texas Medical School in Houston. He completed his general surgery residency at the University of Tennessee in Memphis. 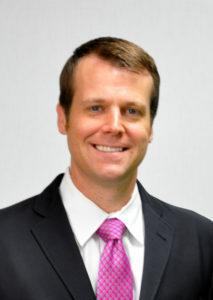 Following residency, Dr. Finnell did a fellowship in laparoscopic gastrointestinal and bariatric surgery at Hackensack University Medical Center in New Jersey. Dr. Finnell has been actively practicing bariatric and general surgery in Wichita Falls since 2008. He has performed hundreds of bariatric surgeries and is the director of United Regional’s bariatric surgery MBSAQIP center of excellence. He is board certified by the American Board of Surgery and is an active member of the American Society for Metabolic and Bariatric Surgery (ASMBS). Like so many people, Christy and Jason Lambert have tried multiple diets along with exercise, but was never able to reach and maintain their ideal weight. So, they decided that weight loss surgery was the best option. Take a look at the Lambert’s story. With significant weight loss over a relatively short period of time (usually 15-18 months), the remaining skin often does not retain the elastic qualities necessary to “shrink back down” to your new underlying shape. This often leaves patients with excessive amounts of hanging skin that creates problems such as daily hygiene and finding clothes that fit properly. A comprehensive approach to the bariatric patient is necessary to achieve the optimal figure following weight loss. Phil Stephan, MD, understands that a bariatric patient must be treated differently from non-bariatric body contouring patients. What has worked well for many years on other patients simply does not provide adequate shaping and contouring for the bariatric patient. Dr. Stephan is a plastic surgeon with experience and expertise in body contouring surgery for bariatric patients. To make an appointment for a free consultation, please call (940) 264-2600. United Regional Solutions provides a surgical intervention for those who are clinically obese and aims to provide excellent patient care both before and after surgery. The objective is to give patients the tools to be successful. Dr. Finnell and his team teach patients how to effectively use these tools, to be not only productive with weight loss, but to extend and improve the quality of life. Are you ready to explore a new solution? For more information on how our solution can help you lose and maintain a healthy weight, call United Regional Solutions at (940) 764-5400 or (940) 764-8570.